EcoRadio KC is a magazine show, including live segments, prerecorded stories, and interviews. The show is being created by a collective of local community organizers and activists. The group chooses a theme for each show which is then produced and hosted by someone from the team. In addition, we draw upon other members of the community as well as area organizations for their knowledge, experience, and ideas. EcoRadio KC explores our interdependence with the rest of the world, showing the connections between the ways we choose to live and the health of the whole community of life. As a result, we plan to cover a wide range of topics, including local & regenerative agriculture, energy conservation & efficiency, justice, eco-villages, alternative medicine, indigenous peoples, clean energy, local food systems, biofuels, the need for multicultural participation in social change, global warming & climate disruption, extinction, green building and chemistry, and consumerism. If you have any questions or comments about the show or would like to get involved with the team that produces it, please send an email to [email protected]. Dorothy Barnett of the Climate Energy Project will talk about the Kansas Energy Fairness Act and other energy transition (fossil fuel to renewable) related issues. Host Brent Ragsdale will also discuss an overview of the Extinction Rebellion movement's demands. Kevin Kamps, Director of Beyond Nuclear, joins host Craig Lubow to discuss the environmental problems presented by nuclear energy, including radioactive contamination caused by the transportation and disposal of nuclear waste. When Pat Elder was in town on February 21st to kick off his tour of military bases contaminated with Per- and Polyfluoroalkyl Substances (PFAS), Craig Lubow had a chance to interview him. We bring you that recording. But first, Paul Johnson, of the Kansas Rural Center discusses noxious weeds and toxic sprays in Kansas as well as the meeting planned this week in Oskaloosa. Featuring KC Food Circle friends, Emily Akins and Brandi Schoen. They will show us where and how we can get the tastiest, freshest, healthiest food around. We'll be learning about what's new and exciting in local agriculture and how we can support our farmers. Naturally, they'll be giving you all the details on the 21st annual Eat Local & Organic Expo! 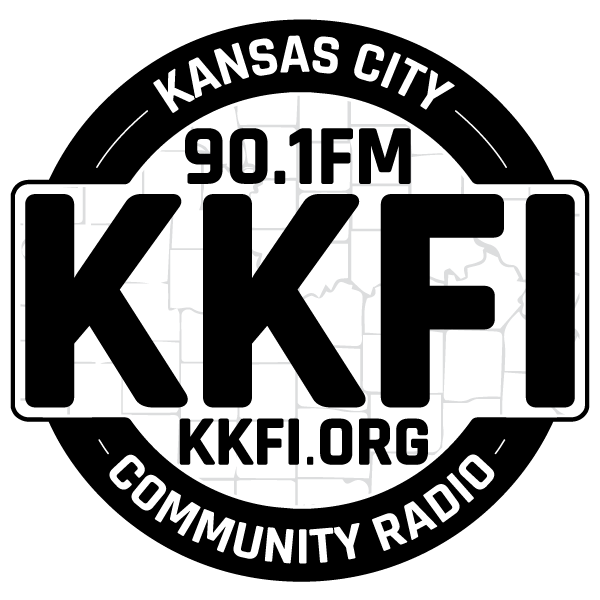 KKFI will play from our record of the 2/19 Public Hearing concerning the proposed WOTUS rule change. Listen to learn the positions of the government, the developers, the environmentalists and all others who have a stake in our country's waters. Join hosts Richard Mabion and Dave Bennett Freeling as they sit down with 8 young people who have been learning and teaching others about water quality in the KC area through the Kids About Water program (KAW). Find out how you can help the next generation maintain our waterways for drinking and recreation. We feature some recordings of activist Pat Elder regarding PFAS contamination at military bases including Richards-Gebhaur. And Bob Grove updates Craig Lubow on the newly formed Climate Council of Greater Kansas City. Leaders of the Kaw Valley Native Plant Coalition: Courtney Masterson from Native Lands, LLC and Patti Ragsdale from Happy Apple's Farm, join host Brent Ragsdale to discuss how to identify and conserve, or even re-create, native prairie, woodland and wetland habitats in our neighborhoods and communities. Elaine Giessel will discuss the EPA’s notices concerning the Waters of the United States Act (WOTUS) and EPA notices regarding the hazardous per- and polyfluoroalkyl substances (PFAS). EPA will be holding public hearings in Kansas City on the proposed change to WOTUS on February 27 at 4 PM and 28th 9 AM. Richard's main objective in the urban arena is to find more ways for people of color to truly understand their Environment. As a grass-roots environmental activist in Kansas City, Kansas. He is presenting his philosophy of environmental organizing to neighborhood groups in low income communities, by recounting his experiences with ongoing projects on energy efficiency and conservation. Craig Lubow is a criminal defense and family law attorney in Kansas. Craig has been a progressive activist since the early 1970s, starting in the War Resisters’ League. Craig serves on the executive committee of the Kanza Group of the Kansas Sierra Club.